The visionary chroniclers of eccentric Americana Joel and Ethan Coen present one of their greatest creations in Llewyn Davis, a singer barely eking out a living on the peripheries of the flourishing Greenwich Village folk scene of the early sixties. 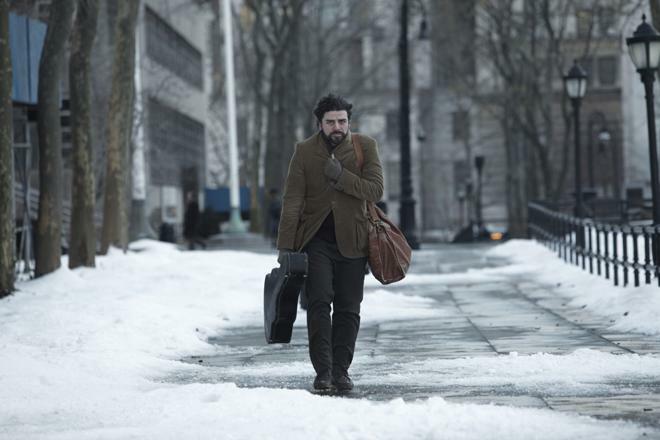 As embodied by Oscar Isaac, in a revelatory performance, Llewyn (loosely modeled on off-the-radar folk legend Dave Van Ronk) is extraordinarily talented but also irascible, rude, and self-defeating. Our man’s circular odyssey through an unforgiving wintry cityscape, evocatively captured by cinematographer Bruno Delbonnel, is realized with poignant humor and the occasional surreal touch. 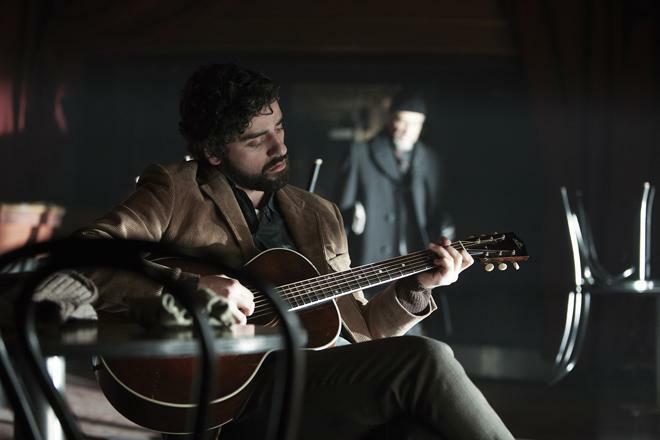 Featuring a folk soundtrack curated by T Bone Burnett, Inside Llewyn Davis reminds us that in the Coens’ world, history isn’t necessarily written by the winners. "You probably heard that one before. If it was never new and it never gets old, then it's a folk song." There is a spark inside every artist. A nagging, incessant compulsion to create. An inclination toward expression, a longing to connect, a penchant toward dreaming, and a delusion for greatness all rolled up into one equally inspiring and mocking voice that sets fuel to a fire that has no end. It burns and aches and glows, turning sorrow into laughter and pain into beauty -- transforming loneliness, black eyes, bloody noses, angry girlfriends, uncomfortable couches, wet socks, and lost cats into stirring melodies full of wit and melancholy. Though dulled and all but faded, this is the spark that drives Joel and Ethan Coen's 'Inside Llewyn Davis.' A palpably somber, darkly comic, and irrefutably human examination of cyclical struggles, looming failure, and dwindling dreams, the movie is an unassuming yet strikingly powerful piece of storytelling -- a cinematic folk song that weeps with delicate yearning, dry humor, and ample soul. Anxious, desperate, prickly, arrogant, stubborn, and jaded, Davis doesn't always come across as particularly likeable, but through Oscar Isaac's soulful performance he remains irrevocably sympathetic, and the Coens' multifaceted character study proves to be heartbreakingly perceptive. As the runtime goes on we learn more details about the man, gaining new insights here and there into his past relationships and tragedies. He puts himself at a distance from people, and on the surface seems to blame the world for his misfortune, but beneath this detached and self-pitying veneer is a harsher layer of self-loathing and a deep sadness. Once part of a folk duo, when we meet Davis he is now on his own, and one gets the sense that this transition has not been easy. In fact, it seems as if his spark toward success has all but diminished, dulled by loss, poor choices, and some really bad luck. To this end, the Coens seem to faintly revel in putting their protagonist through the wringer. Throughout the film, the man is subject to constant vitriol, painful setbacks, physical distress, and ironic twists of fate, whether trying to succeed or even in his attempts to give up -- and while Davis does largely bring much of this suffering upon himself, it's still hard not to feel for the guy. Likewise, beneath all his hubris and refusals to get a real job and "just exist," is a sincere desire to create real art free from compromise, even at the sacrifice of monetary gain, and this level of conviction proves to be genuinely noble. While the realities of the music industry and his own poor decisions work hard to beat the character's spark right out of him, whenever he takes to the stage or starts strumming a guitar, doomed to failure or not, it becomes clear that such a feat would simply be impossible. With performances recorded live by the cast during the shoot, and arrangements of traditional folk staples produced by T-Bone Burnett and Marcus Mumford, the film is packed with amazing music. Oscar Isaac's mournful voice brings just the right amount of sorrow and lingering passion to all of Davis' songs, and his renditions of "Hang Me, Oh Hang Me," "The Death of Queen Jane," and "Fare Thee Well (Dink's Song)" are all deeply moving. The rest of the cast is also exceptional, both on and off the stage, with great turns by Justin Timberlake, Adam Driver, John Goodman, and Carey Mulligan. Mulligan, in particular, manages to imbue her role with just the right amount of depth, bolstering the character's humorously angry persona with a hidden layer of compassion. Giving visual shape to the film's music inspired narrative, the Coen Brothers create a delicate and appropriately melancholy aesthetic, perfectly realizing the wistful tone of a great folk song in cinematic form. Through simple staging, stripped down editing, thoughtful compositions, and little hints of ethereal imagery and sound design, the Brothers create an effortless, organic style free from unnecessary flash or fat. This is clearly the product of two veteran filmmakers who know exactly what they want to accomplish and have nothing left to prove. Slow push-ins during musical performances emphasize transitioning emotions and reactions, and the film's soft focus and somber color palette of dull blues, grays, and little hints of bold primaries struggling to pop, create a nostalgic mood that further evokes Davis' own pensive songs and demeanor. In many ways, this is a distressingly bleak picture, but while the narrative often flirts with cynicism, the film's dry sense of humor casts a knowing smirk over the entire proceedings. Though many of Davis' ironic hardships are played for subtle laughs, one gets the sense that the character is somehow in on the joke. The world can be cruel and random and full of sadness, but this is the pain that fuels us, and sometimes our only option is to laugh… and sing. With their latest understated masterpiece, the Coen Brothers show us exactly what's inside Llewyn Davis, and the results aren't always pretty or upbeat. There's pain and sorrow and insecurity and egotism and a fading spark that will not die. Through stirring music, dry humor, aching melancholy, and little hints of esoteric ambiguity, the directors create a deceptively simple and richly layered character study. As the film's hauntingly cyclical structure reveals, some men just aren't destined to make it out of the cesspool, but that doesn't make it any less of a home. This is the story of a man chasing a cat; a portrait of an artist without a winter coat, all sung with sincere longing and a wry smile. 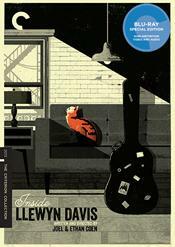 Criterion presents 'Inside Llewyn Davis' in their standard clear case with spine number 794. The BD-50 Region A disc comes packaged with a pamphlet featuring an essay by film critic Kent Jones. The source print is in pristine shape and retains a light layer of natural grain. The cinematography has an intentionally soft and diffuse quality, giving the image a kind of nostalgic glow. Likewise, the color palette mostly sticks to a subdued range of somber blues and grays, with hints of more bold and vibrant colors faintly struggling to pop from the otherwise drab picture. Contrast is well balanced, though the image is a little on the dim side and black levels are a hair elevated. While the resulting picture isn't as sharp or vivid as many other contemporary releases, this wistful aesthetic suits the content perfectly. Unfortunately, as strong as the artistic style is, there are some issues with the transfer itself. Banding and faint signs of compression are periodically visible in background textures and shadows. Though not terribly distracting or frequent, these instances are noticeable enough to warrant a mention. 'Inside Llewyn Davis' comes to Blu-ray with a very solid transfer that preserves the film's somber visual style well. Sadly, there are some minor compression artifacts that do end up hindering the score just a tad, but fans should be mostly pleased by the video presentation. Fueled by one of 2013's best soundtracks, the audio here is exceptional, bringing all of the folk tunes to life with warm texture and wide range. Dialogue and vocals are full, crisp, and full-bodied throughout giving ample presence to every heartbreaking chorus. The soundstage is relatively modest, but appropriate ambiance fills the room nicely with subtle New York atmosphere and key effects (the bustling of passing subway trains, for instance). Of course, the musical performances are the real draw here, and these sequences sound fantastic. The folk songs feature strong fidelity and great range, highlighting the music's gentle lulls and more aggressive peaks while fully transporting audiences into the various club and studio settings. Marked by subtle but thoughtful sound design and an absolutely amazing soundtrack of folk songs, the film features a great mix that really enhances the story's melancholy tone. Criterion has put together a fantastic collection of brand new special features, including a commentary and a full-fledged concert documentary film. Likewise, the previously available "making of doc" from the Sony disc is also included here. All of the supplements are presented in 1080p with Dolby Digital 2.0 audio (except where noted otherwise). Commentary – Authors Robert Christgau, David Hajdu, and Sean Wilentz offer commentary on the film. The trio use their wealth of folk knowledge to elaborate on the music and time period depicted in the movie, sharing many details about the featured songs and real-life character influences. Since the focus here is on the 60s folk scene, the discussion is light on actual filmmaking insights, but this is still an informative commentary for music buffs. Inside 'Inside Llewyn Davis' (HD, 43 min) – Also included on the previous Sony disc, this is a very solid making of doc with cast & crew interviews and behind-the-scenes footage. The participants discuss the story/character inspirations, the 1960s folk scene, casting actors who could also perform the music scenes live, locations, sets, and the difficulties of training cats. A good deal of the runtime is also dedicated to the film's music, with lots of interesting insights and fly-on-the-wall peeks into the producing and recording process. The First Hundred Feet, The Last Hundred Feet (HD, 41 min) – Recorded in 2015, this is a conversation between filmmaker Guillermo del Toro and the Coen Brothers. The sibling directors discuss their filmography with an emphasis on their debut movie, 'Blood Simple,' and 'Inside Llewyn Davis.' Details on their writing process, influences, visuals style, themes, approach to genre, and frequent use of contradictory characters all round out a fantastic discussion on moviemaking. This is a must watch for fans of the directors and film buffs in general. Another Day, Another Time (HD, 101 min) – Presented with Dolby Digital 5.1 audio, this is a wonderful music documentary that covers a tribute concert for the film held in September 2013 in NYC. The doc mixes on-stage performances from the show with studio recording sessions, backstage jams, and interviews with musicians like Jack White, Joan Baez, the Avett Brothers, Oscar Isaac, the Punch Brothers, Marcus Mumford, Patti Smith, Lake Street Dive, Milk Carton Kids, and more. The Way of Folk (HD, 16 min) – Shot in 2015, this is a conversation between music producer T Bone Burnett and the Coen Brothers about folk music and the songs chosen for the film. Before the Flood (HD, 19 min) – Shot in 2014, this is an interview with Elijah Wald, who worked with musician Dave Van Ronk on his memoir. Wald discusses the 50s/60s folk scene in Greenwich Village and Bob Dylan's influence on its evolution. Sunday (HD, 17 min) – Presented in 1080i and Dolby Digital 1.0 audio, here we get a 1961 documentary by Dan Drasin that focuses on a demonstration in Washington Square Park in NYC where folk musicians were barred from playing. At one point a man playing a harpsichord is arrested by the police –- so we can all sleep easy now knowing that he was securely held behind bars where he clearly belonged. Trailers (HD) – Six trailers are included. 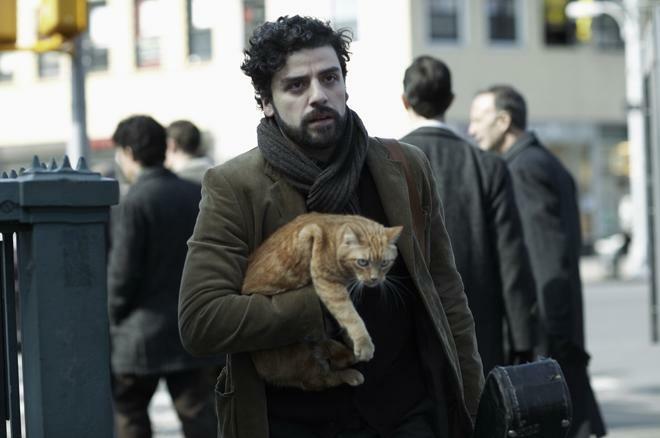 'Inside Llewyn Davis' is another masterpiece from the Coen Brothers. A somber examination of repeated mistakes and artistic struggles, the film offers a complex character study filled with wry humor and wistful longing. The video transfer is very solid but there are some minor artifacts. Thankfully, the audio mix is phenomenal, perfectly highlighting the movie's amazing soundtrack. Improving upon the Sony disc, this Criterion release adds a whole slew of great new supplements, including a commentary track and a fantastic tribute concert. This is a movie that I only grow to appreciate more with repeated viewings, and it's quickly making its way toward the top of my list of favorite Coen Brothers films -- which is no easy feat. For viewers who don't already own the movie, this is the version to buy. And big fans who already have the previous disc might want to consider a double dip for the added special features. Hell, if you're a big admirer of folk music, then the included tribute concert is almost worth the price of admission alone. Highly Recommended.